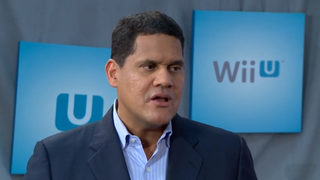 Nintendo's Reggie Fils-Aime Jousts With Geoff Keighley. This Is Your GTTV Preview. Nintendo of America president Reggie Fils-Aime will make an appearance on GTTV tonight on Spike (1am ET/PT) to talk all things Wii U with host Geoff Keighley.